Whole or half, inside or outside, we can fix that. Blasting helps your logs live longer and look better. Protect logs against water and update their look. Insulate and protect log homes with chinking & caulking. Making landmarks last for generations more to enjoy. Learn the state of your next log home before you buy. Unique solutions for logs off walls and corners. Explore our library of FAQs for log home ownership. Log homes are our passion. We appreciate the beauty of them and the special charm they hold. To ensure that your log home or cabin is well preserved for generations to come, we recommend a regular maintenance schedule. The repair and restoration of log homes is a specialized service. Log cabins and homes require special tools, techniques and knowledge. Trust the team that has over 40 years of doing only log home repair and restoration around Minnesota, Wisconsin, and further around the country. Our team can identify problems and provide expert repair and restoration services for all sizes of log cabins, homes and buildings. While some buildings need a single service to keep their logs protected from the elements, others will need more than one and require a visit from our team to diagnose the issues. Click below for information about each particular log home repair service we offer. See a great example of a recent restoration project on a large screen porch’s log structure we completed in Cable, Wisconsin. Wind, temperature and precipitation can take their toll on log buildings. Whether you’ve inherited a log cabin, you’re buying a new log home, or you need your home repaired, Edmunds & Company can help. 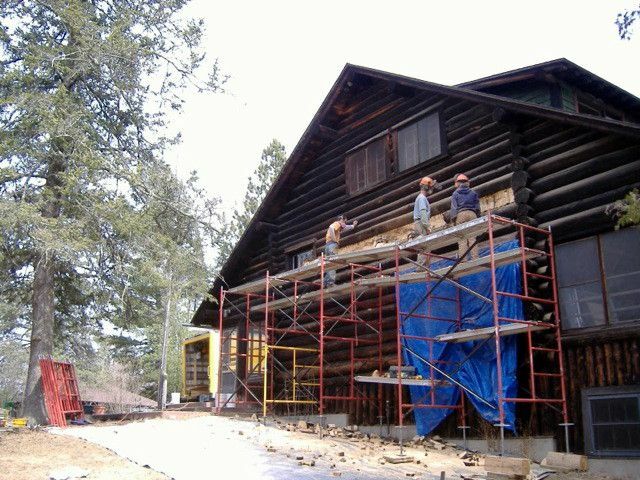 Our legacy of 40 years of log home restoration and repair experience can help your home remain part of your own legacy. 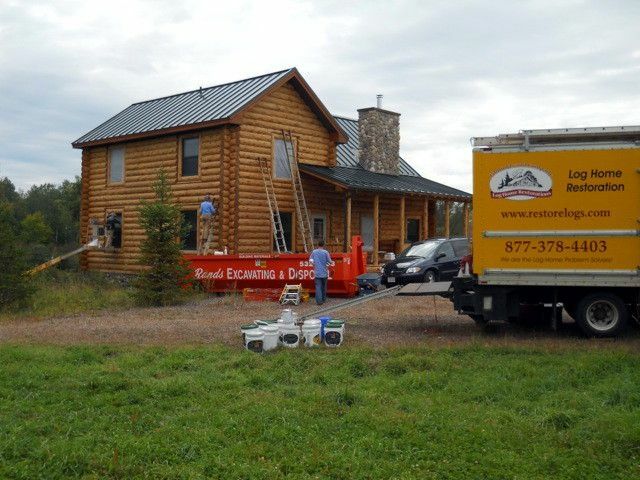 Chinking log homes – An important part of maintenance The chinking and caulking in log homes should not be overlooked….